This purchase is effective immediately and the entire PasswordBox team joined Intel Security to help create a safe and secure digital world. Next to Microsoft who purchased Acompli, Intel also announced a new corporate acquisition yesterday, namely PasswordBox. According to the official press release, this Canadian company and its cross-platform identity management service will join the Safe Identity organization within Intel Security Group. This organization "is committed to delivering solutions that reduce the pain of passwords, simplify and strengthen security, and provide consumers with easy access to their digital lives." The press release contains some interesting information, for example the fact that over 90 percent of those passwords generated by users are vulnerable to hacking and the average user has 26 password-protected accounts, but only five different passwords. Intel's integration of PasswordBox technologies aims to deliver these three major advantages to consumers: reduced password fatigue, simplified security, and the ability to experience next-generation solutions. "We share Intel Security's vision of simple, secure access and identity protection across all platforms and devices. Together, we believe we can offer our customers world-class technology, expertise and support to bring such access anywhere – all backed by Intel," says Daniel Robichaud, PasswordBox CEO and co-founder. All the 48 employees joined Intel Security and the transaction is effective already, but no financial terms have been disclosed. Secure passwords are essential to protecting sensitive personal data. According to a recent report by consulting firm Deloitte*, more than 90 percent of user-generated passwords are vulnerable to hacking, citing that the 10,000 most common passwords could access close to 98 percent of all accounts.1Last year, Experian* found that the average user had 26 password-protected online accounts but used only five different passwords.2 In fact, nearly 37 percent of users have asked for assistance on their username or password for at least one website per month. Together, Intel Security and PasswordBox will work to eliminate these problems. "Everyone can relate to password fatigue," said Chris Young, senior vice president and general manager of Intel Security Group. "The PasswordBox service has already brought relief to millions of consumers who now enjoy simple, instant login. Intel Security and PasswordBox share the same goal of improving digital identity protection across all devices and platforms. We believe we have the technology, expertise and reach to bring simple, secure access to consumers worldwide." Reduced Password Fatigue – PasswordBox's solution utilizes one of the most accurate form fillers on the market, with patent-pending one-tap (on mobile devices) and one-click (in browsers) login to simply and seamlessly provide secure access from any consumer device. Intel Security will continue to extend and expand these capabilities to provide consumers a convenient way to access their favorite sites and apps. Experience Next-Generation Solutions – Intel Security has assembled world-class innovators in hardware engineering, software and services to build solutions that address the most pressing security challenges. Combining the power of Intel Security with PasswordBox's expert team, Intel is committed and well-positioned to innovate and deliver new, ground-breaking, next-generation solutions on a regular cadence to meet the needs of consumers. "PasswordBox has spent the last two years building a product that people love, trust and use around the world every day," said Daniel Robichaud, CEO and co-founder of PasswordBox. "We share Intel Security's vision of simple, secure access and identity protection across all platforms and devices. Together, we believe we can offer our customers world-class technology, expertise and support to bring such access anywhere – all backed by Intel." PasswordBox was a privately held company founded in 2012, with 48 employees and headquartered in Montreal, Quebec. All current employees have joined Intel Security. 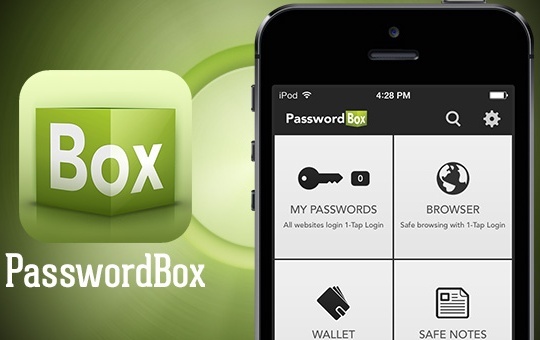 Since its debut one year ago, PasswordBox secured VC funding, led by OMERS Ventures, won best mobile app at CES 2014, and has been downloaded 14 million times worldwide. Intel's acquisition of PasswordBox is effective immediately. Terms of the transaction were not disclosed and are not material to Intel's operations. This acquisition is expected to support future innovations that will be announced at a later date. Award-winning PasswordBox is the only digital life manager that logs you in instantly to your favorite websites and apps without having to type in, or even memorize, your passwords. Collaborate with secure password sharing, for personal and business purposes. Create encrypted notes while keeping track of credit cards, passports and other sensitive personal data in your digital wallet, and care for your digital legacy even after you're gone by passing it on to someone you trust with Legacy Locker. We support all major browsers and devices, so PasswordBox users can access their data anytime and anywhere. For more info, please visit: www.passwordbox.com.